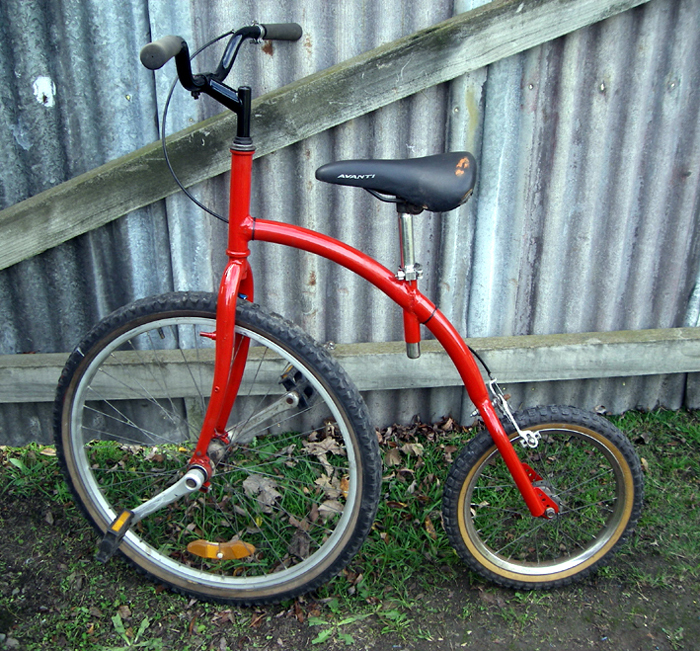 Our Half Penny Farthing, 26" front wheel pedal and steer, very short wheel base so it turns in very small circles.....Easily adjustable seat, set up for a six footer....me at the moment. Its so much fun I'm looking at building a full size one!!! !